The new front entrance to the main branch of the Thompson-Nicola Library is now officially open, though parts of the addition aren’t quite finished. Ranta and several dignitaries then cut a ribbon at the front door and unveiled a wall featuring photos of the region and a large relief map. Guests also signed a time capsule full of mementos that will be opened in 25 years. 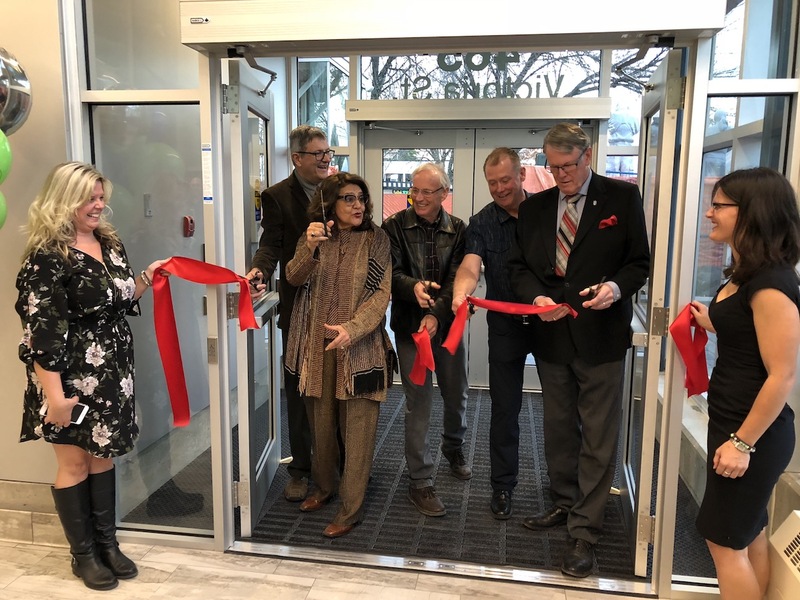 The renovations began in April, forcing those visiting the building — which also houses the art gallery and Thompson-Nicola Regional District offices — to access it through a temporary entrance near the parkade. The first phase of the $350,000 renos actually got underway in February with the installation of new flooring, plumbing, painting, electrical and millwork. The additional space includes a meeting area and an 880-square foot coffee shop, which isn’t ready for occupancy yet but is expected to be open in January.